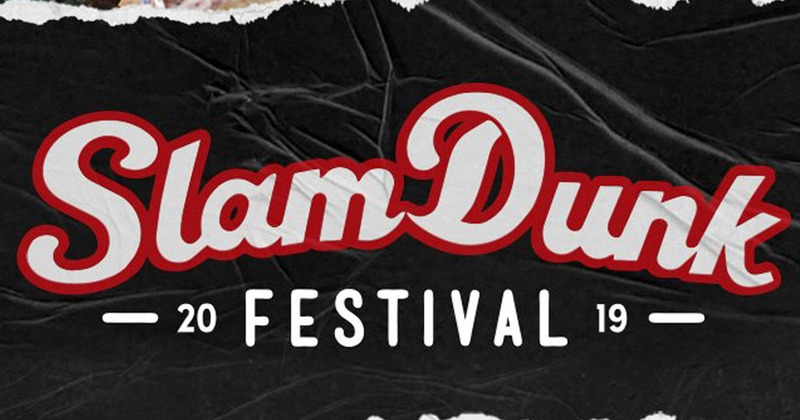 Alternative music fans rejoice – the final seventeen bands have now been added to the 2019 Slam Dunk line-up, and it’s quite the announcement! 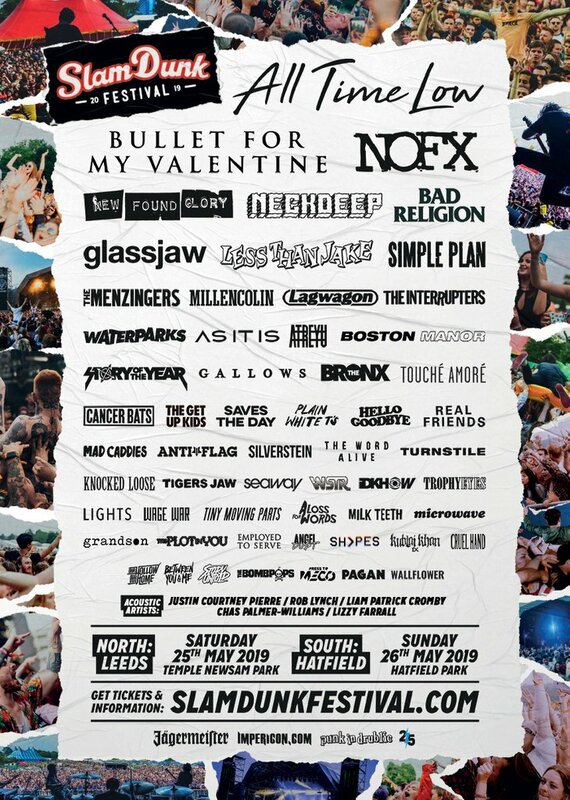 There’s plenty for pop punk fans to celebrate as A Loss For Words return after their break up a few years ago, with Neck Deep, As It Is, Boston Manor, Story Untold, and Between You And Me also joining the festival. The acoustic line-up has also been confirmed, and sees former Motion City Soundtrack front man Justin Courtney Pierre make his first solo UK appearance alongside Rob Lynch, Liam Patrick Cromby, Lightyear’s Chas Palmer-Williams and Lizzy Farrall. There’s more for heavier music fans too as Shvpes, The Plot In You, Kublai Khan and Cruel Hand are confirmed, with Grandson and the UK’s own Press To MECO rounding off the announcement. Check the poster below for the full (and impressive) 2019 line-up. Tickets for the festival, which takes place on Saturday 25 May at Temple Newsham, Leeds (North) and Sunday 26 May at Hatfield Park (South), are still available here, starting at £64.90.